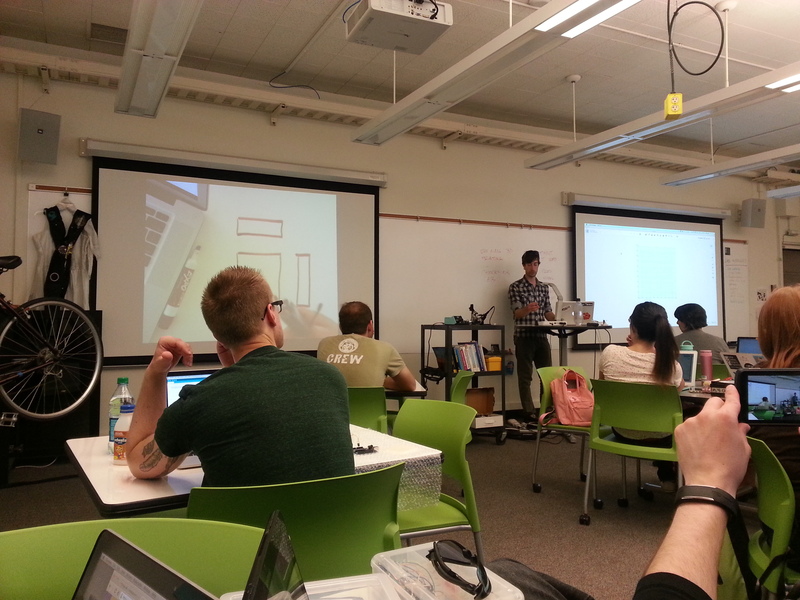 We had Ryan come in again this week and he taught us how to reverse engineer objects using 123D Design and an electronic digital caliper. The caliper can measure lengths and depths. Using this technique he made a casing for the XBee. After this the rest of the time we spent as open studio time for our final projects. I slightly shifted my idea from being a hat that displays the LED lights based on the volume, to displaying the LED lights based on the temperature of the person wearing the hat. This will allow the people surrounding the person to see what mood that person is currently in. 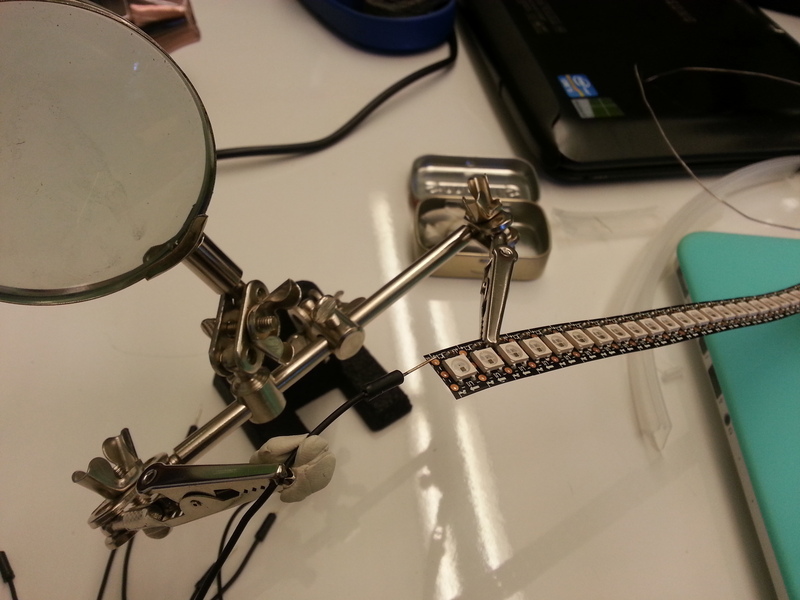 I cut my NeoPixel strip into pieces measured to fit my hat. 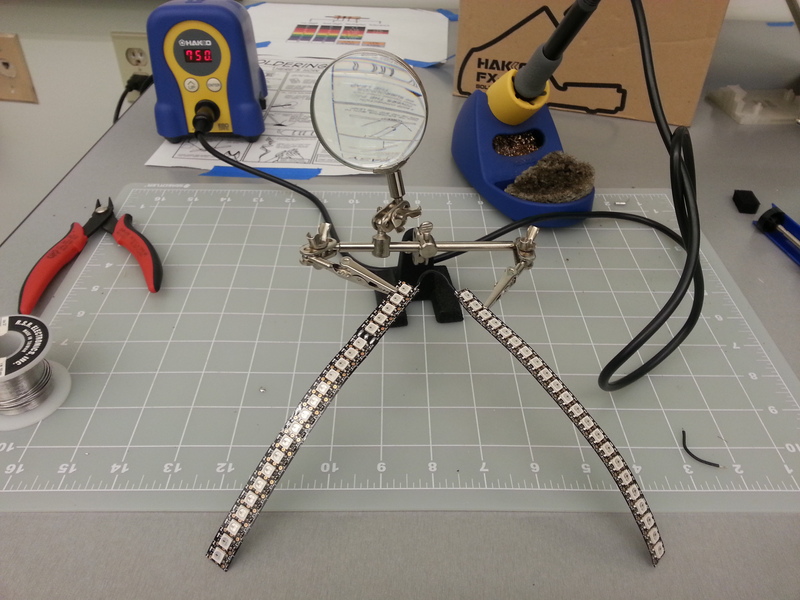 I then soldered them together. 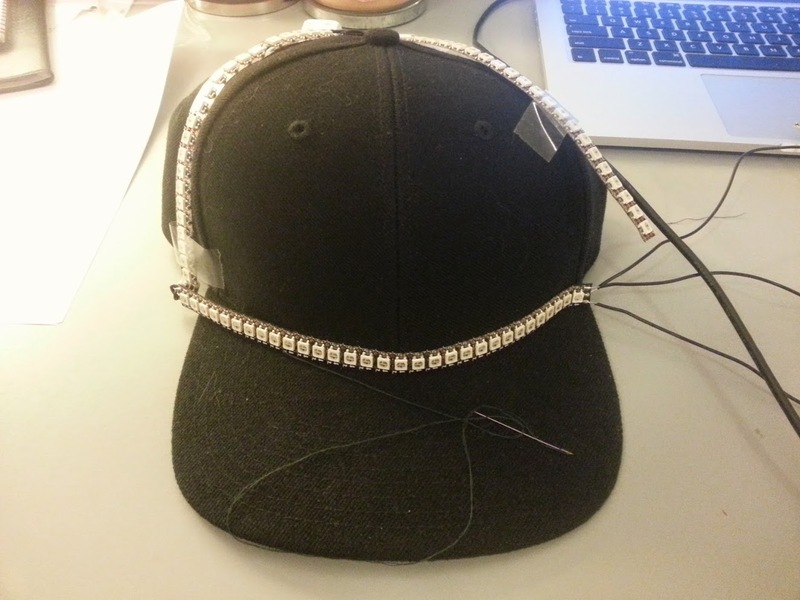 This weekend I sewed the strips onto the hat and started to write the code to make my “mood hat”.